When thinking about pregnancy you should know that it is something like a roller coaster ride for your body. This is why a lot of women experience strange side effects. 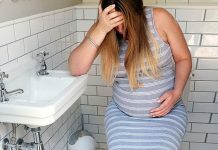 Nausea and dizziness are some of the side effects that are the most common and that could lead to fainting during pregnancy. Although they are considered to be normal, if you experience fainting it may be best to talk to your health care provider because it may be a sign that there is something wrong. As it was mentioned before, dizziness and fainting while being pregnant are pretty common. It is also common to feel lightheaded. This is because the blood vessels dilute and there isn’t enough blood to fill the vessels, leading to fluctuating heart rates. 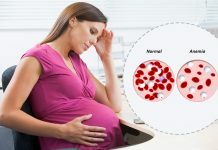 The amount of blood in the body of women increases by 40%-45% and this could lead to low blood pressure especially at the middle of your pregnancy. This is why this is the period when the majority of women experience dizziness and fainting. Usually the body is able to adjust to the changes and women don’t actually faint. If you have low blood pressure, some actions could trigger lightheadedness or dizziness. For example you could experience symptoms of this kind if you stand up too quickly. In order to avoid fainting when being pregnant you should always be careful when standing up and make the movement gradually. When you want to get up in the morning, first you should sit up in the bed and try to get up only after you spent some time sitting. When you are lying, you should avoid lying on your back. This is because in this position the uterus could press against the blood vessels, stopping circulation.